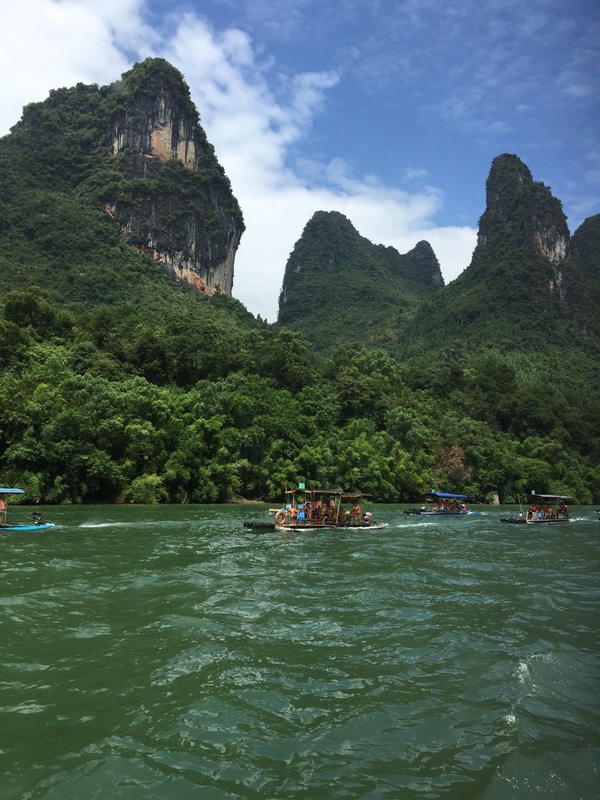 Today we went on a river cruise down the Li River or the Lijiang. 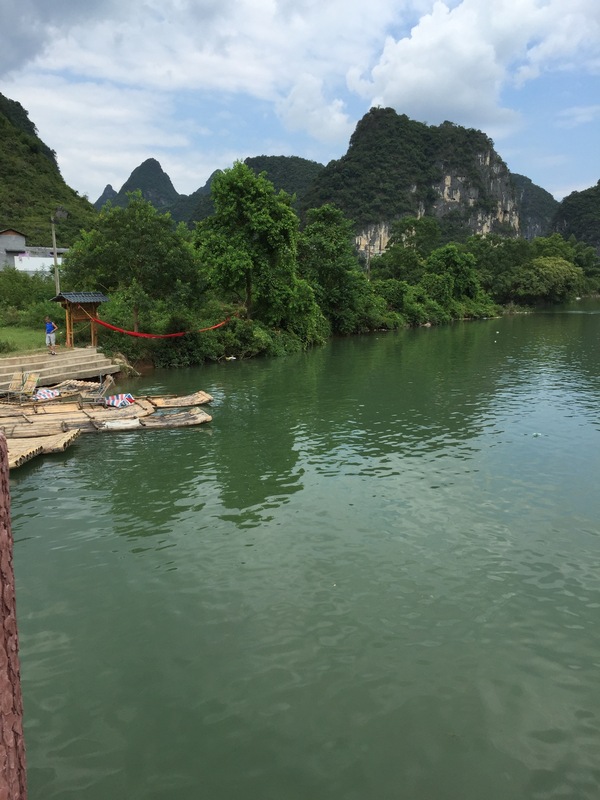 It is a beautiful river of the Guangxi Zhuang Autonomous Region – Autonomous Regions are areas of China not run by the central government but rateher, more run by minorities nationalities. 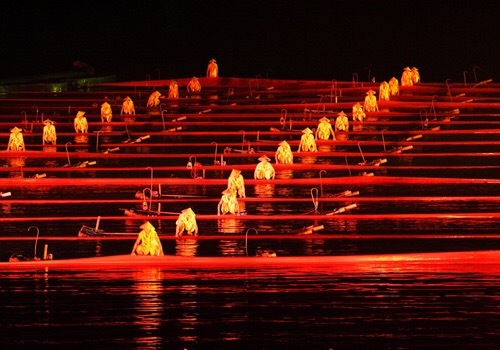 While 95% of the Chinese population are Han, there are 92 different minority nationalities tha the goverment offeres certain tax breaks and concessions (such as a relaxation of the one child policy for minorities). 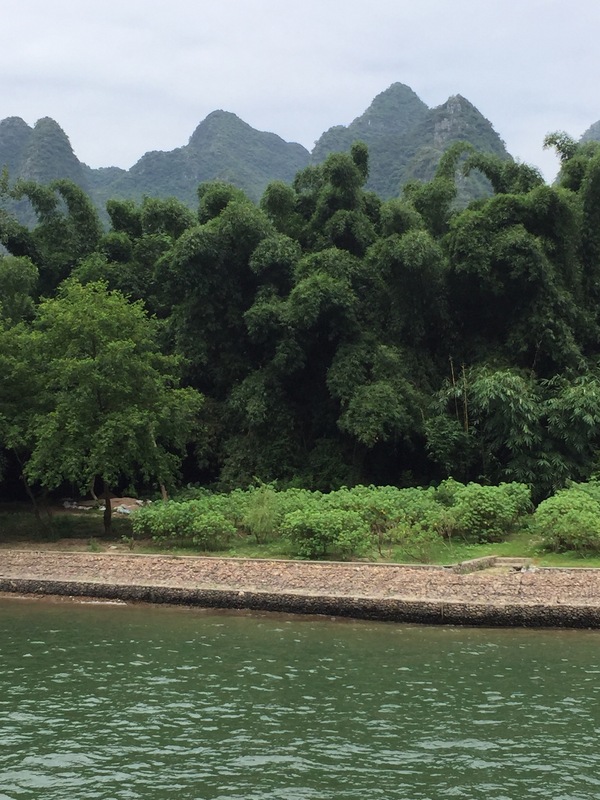 Anyway, the Li River flows 83 kilometres from Guilin to Yangshuo, (I am sure it is longer than that, but that is the section that the tourist cruises cover. 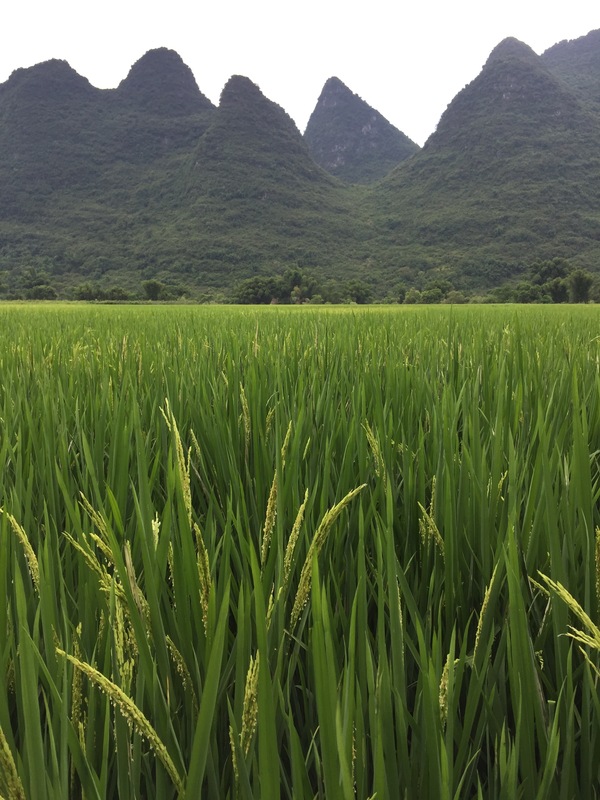 It is a very recognisable topography – very iconic from Chinese landscape painting etc, and the mountains that you see in the are are called ‘karst’ mountains. 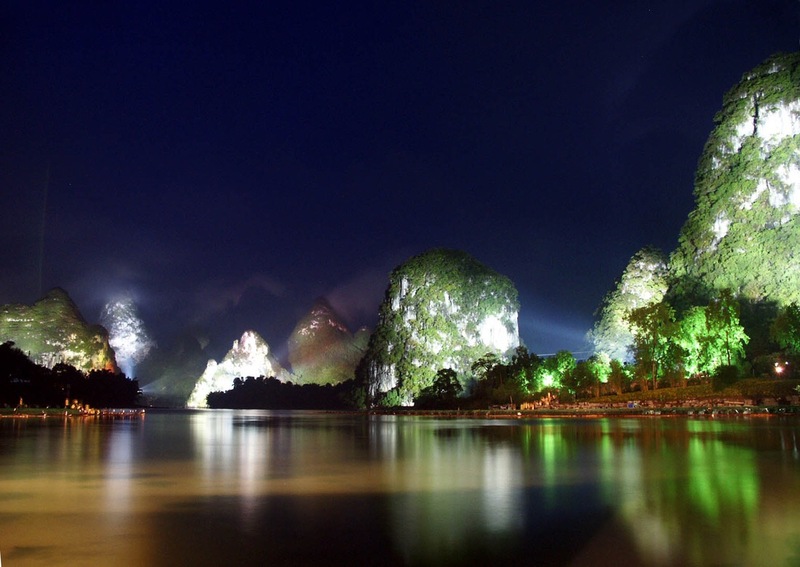 The Li River is a highlight of the Guilin region and has recently been considered in the top 15 rivers in the world. 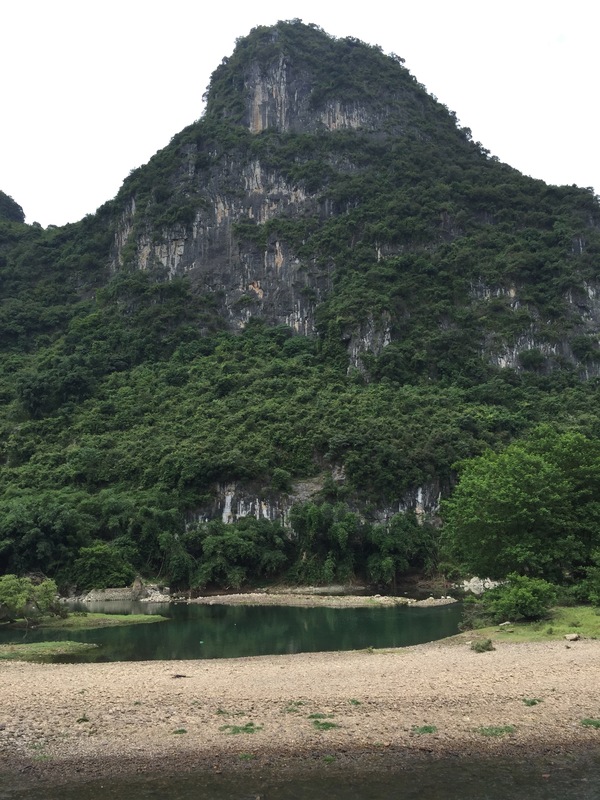 The unusual karst landscape and it’s distinctive mountains. 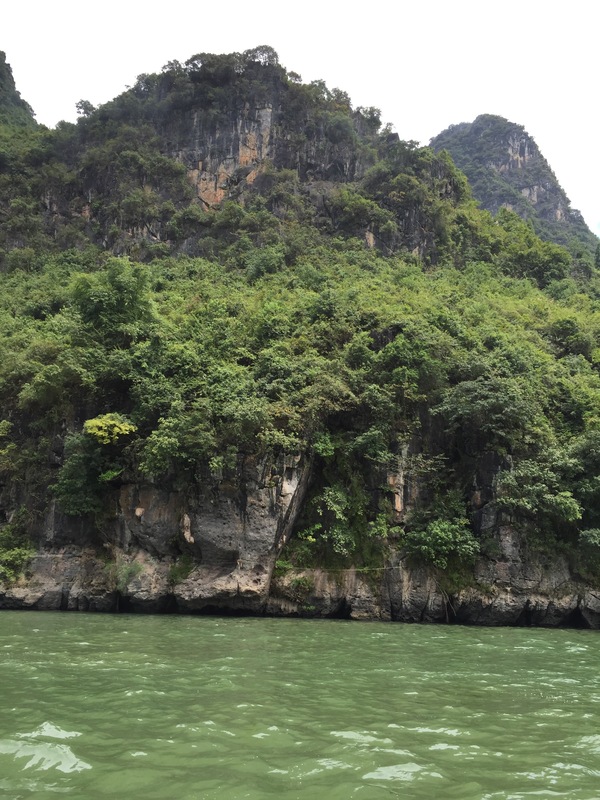 Below is a grove of ‘phoenix tail’ bamboo planted alone the river banks to stabilise soil erosion. 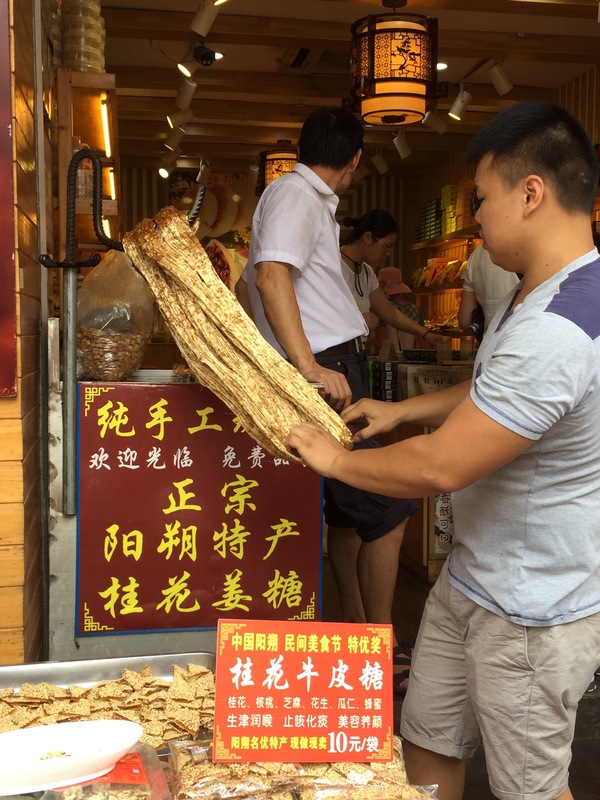 Our guide, Sue, insisted that the bamboo was named for looking like a phoenix tail, but personally, I strongly doubt any one actually knows what a phoenix tail looks like, so… yeah. It is beautiful and feathery looking though. 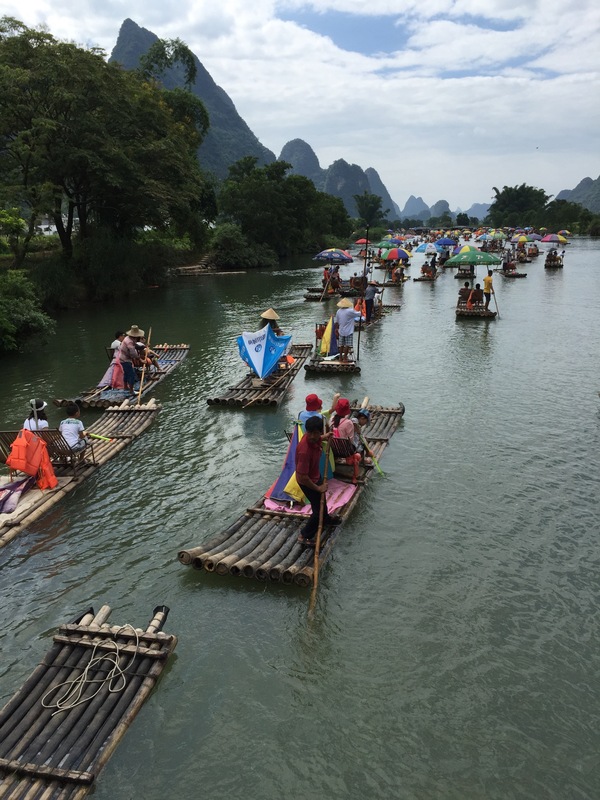 There are so many craft cruising on the Li River – from traditional bamboo rafts (or the not so romantic or attractive, modern PVC pipe equivalent) through to the air conditioned three level boat sightseeing boats. 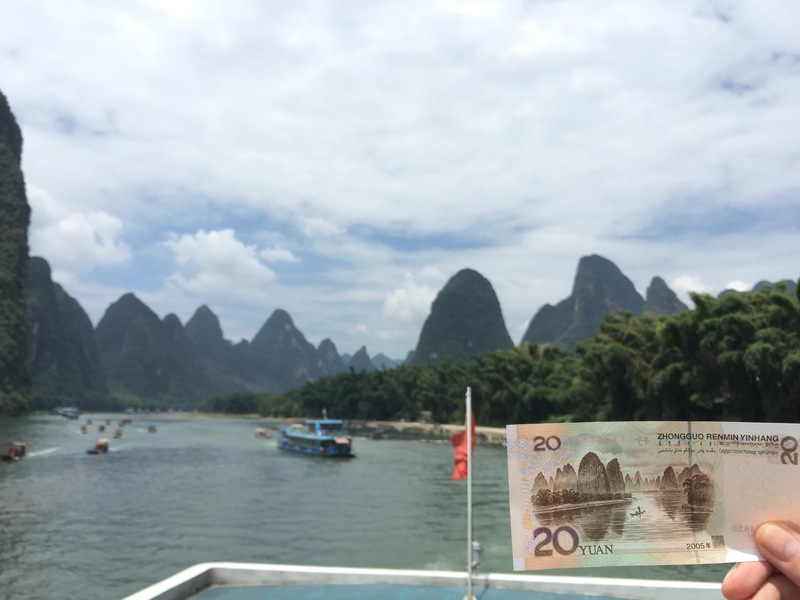 The Li River views are so famous, they are depicted on the RMB 20 yuan note. 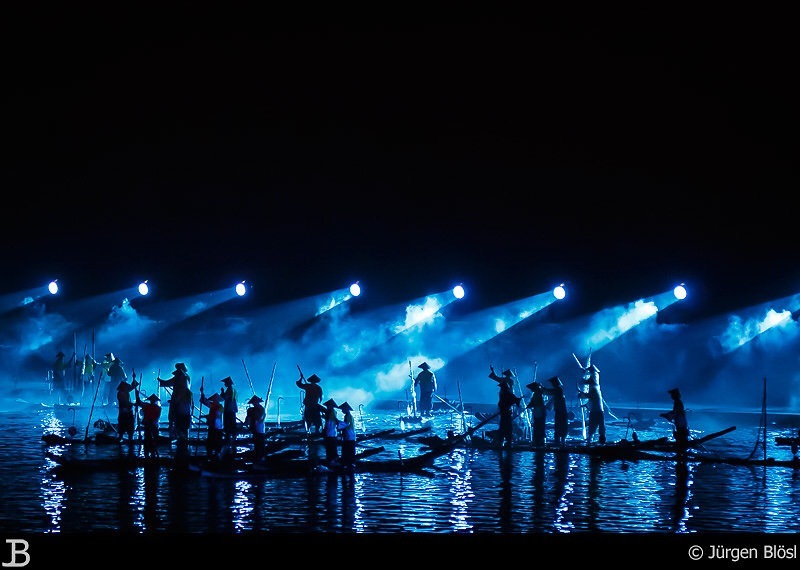 So we found ourselves in one section of the river trip, surrounded by people holding up money and taking photos. The river is crazy busy. 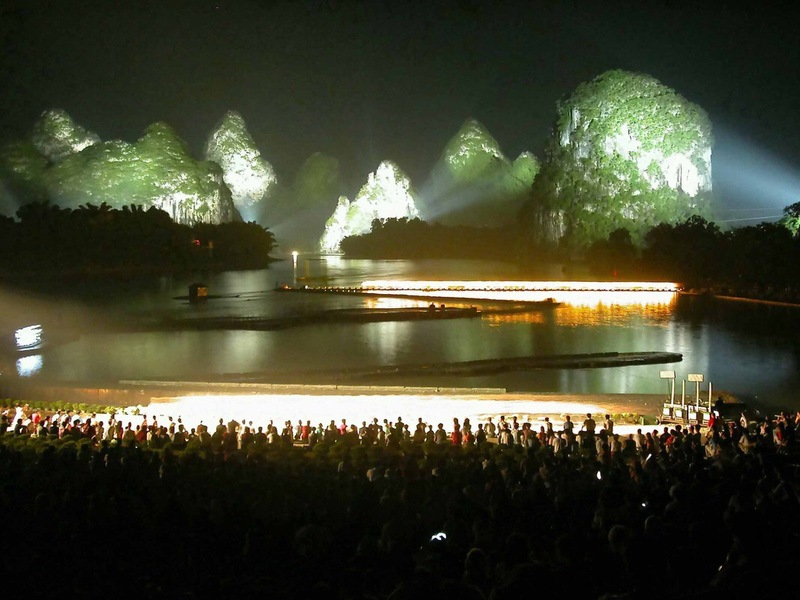 Guilin sees 10,000,000 tourist a year, the bulk of which will do a Li River trip of some sort. 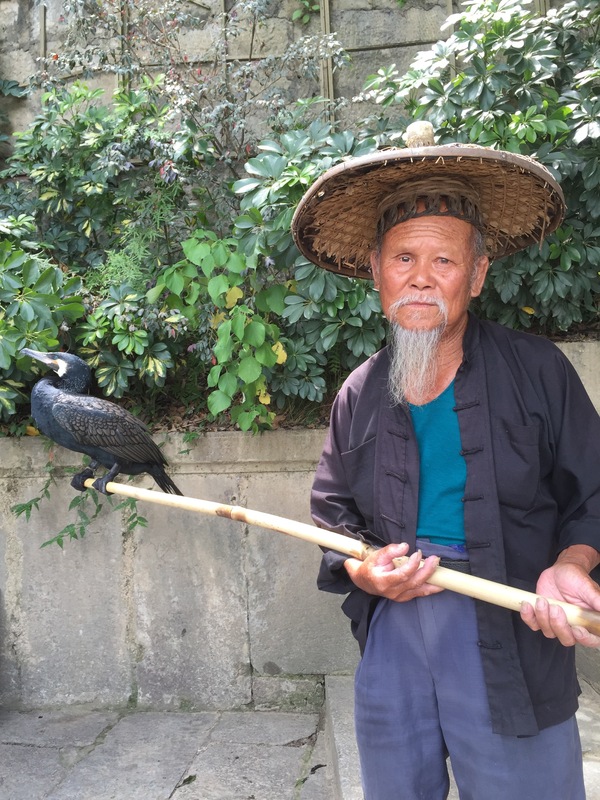 Cormorant fishing is still very much a part of the rural Chinese lifestyle. 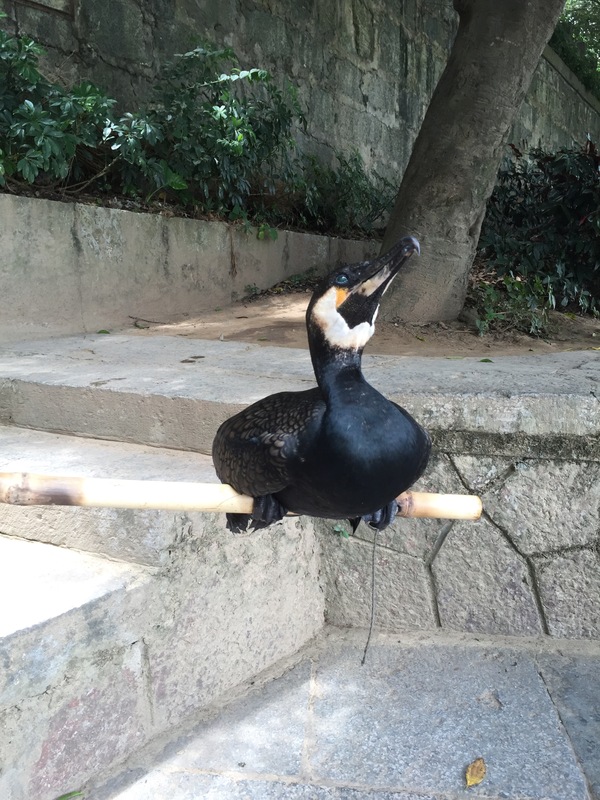 Many domesticated cormorants live out their later lives like this one, being a photo model for tourists rather than catching fish all night. Ginger sticky taffy… gorgeous golden coloured sweets that are stretched and pulled until flattened and cut to shapes. 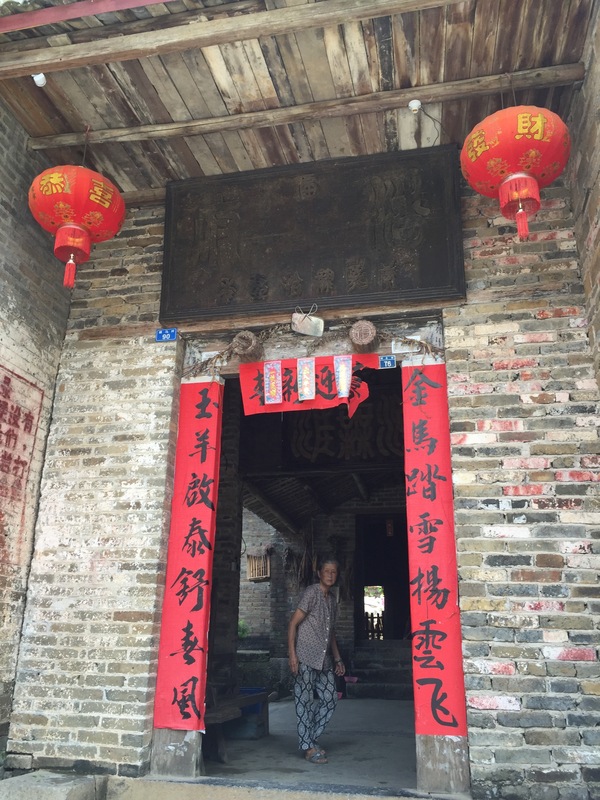 After the markets, we went to visit a typical Chinese house that belonged to a Ming Dynasty General. 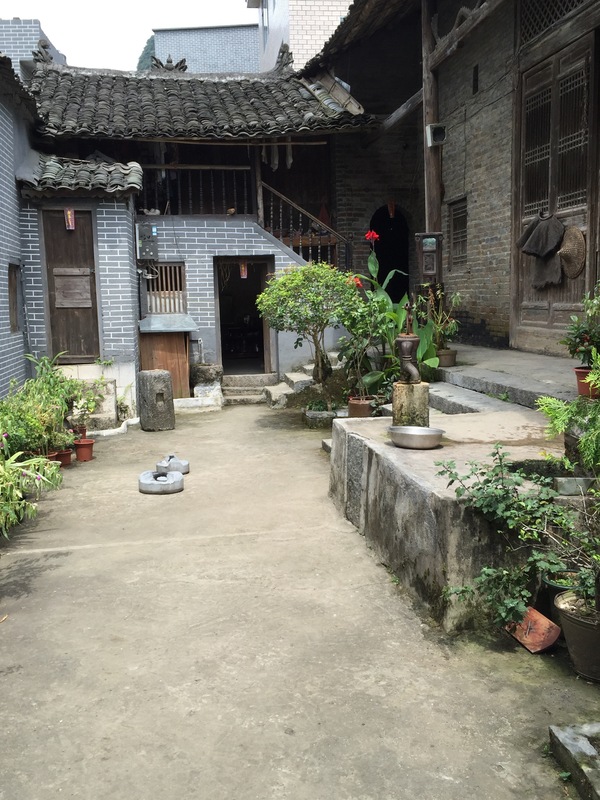 This house has belonged to the same family for the last four hundred years, Mr Pan and his wife and brother’s widow still live in the house. The front entrance of the house is dressed in red paper New Year’s blessings that get replaced every year, wishing health, happiness, luck and longevity on the occupants. Above the door is a large plague which reads, ‘Pan House’. 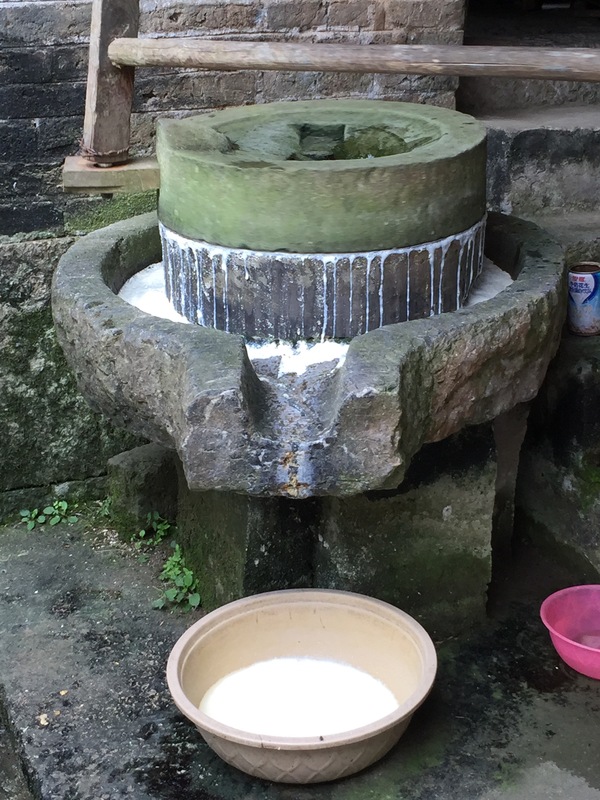 A traditional millstone used for grinding soybeans and water into the curd paste that the Pan family uses to make tofu. 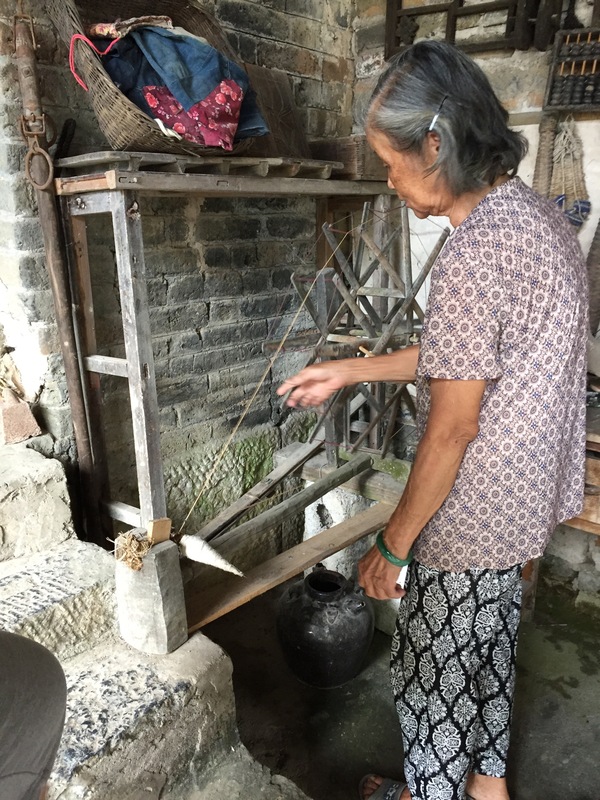 The water and soybeans are dropped in the top, and the wooden lever is worked back and forth to turn the grindstone. The main court yard to the house. Ahead is the main kitchen and dining space to the right is the main living roo which contains a family ‘shrine’. 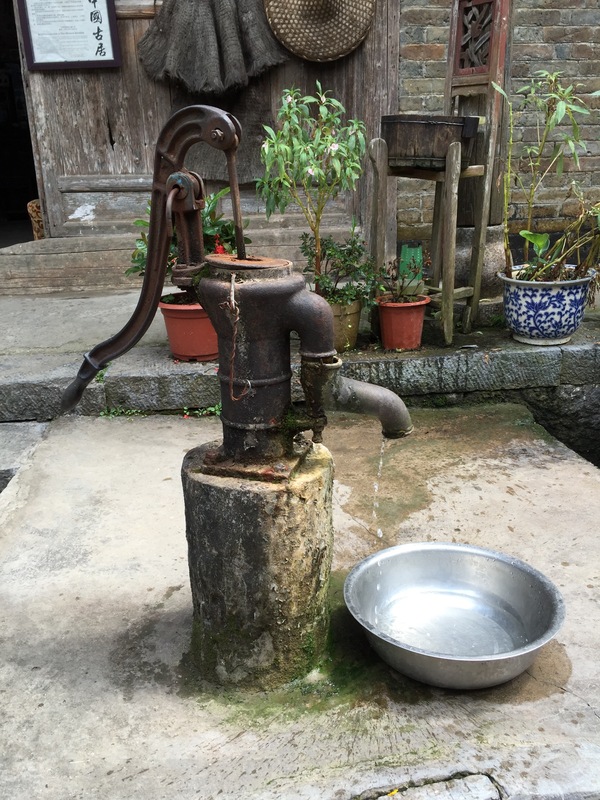 In the middle of the courtyard is the water pump, which goes to a well 13m underground. 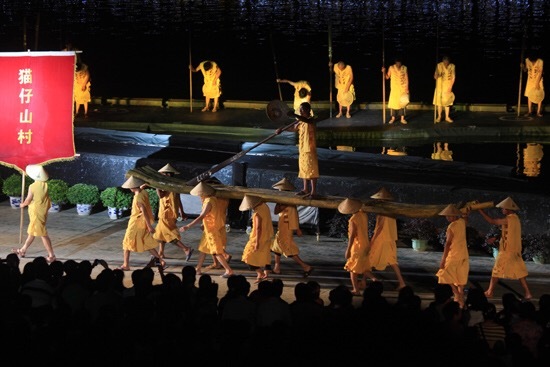 The water is used for cooking, cleaning, drinking and watering plants etc. While the water is safe for the inhabitants to drink, it would probably cause considerable gastro distress to any of us. The water is cool and clear and comes from a natural spring. I thought this was amazing… in many European castles and churches, you can see wear on the steps where thousands of steps of hundreds of years have worn away the stone so you can see the well trod path of people long dead. 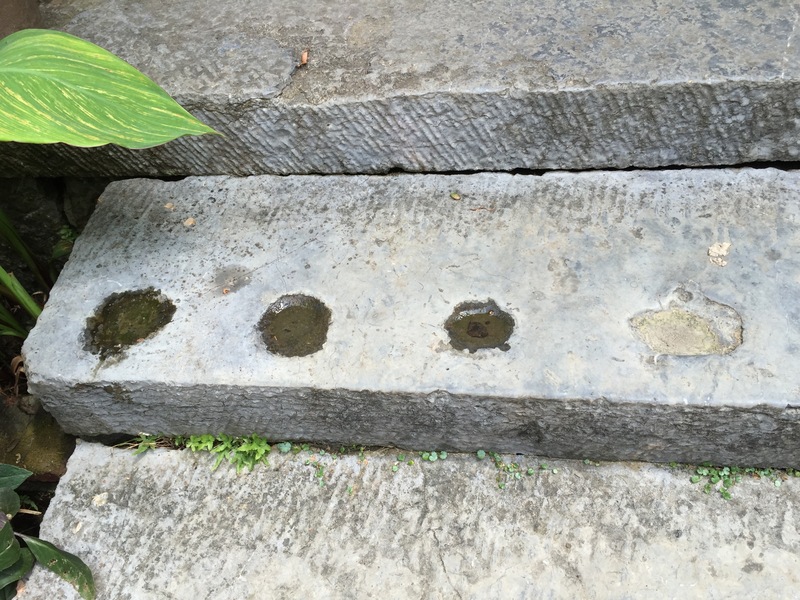 The round divets on these stone steps are caused by the water dripping off the same roof for hundreds of years onto the same spot on the same step. 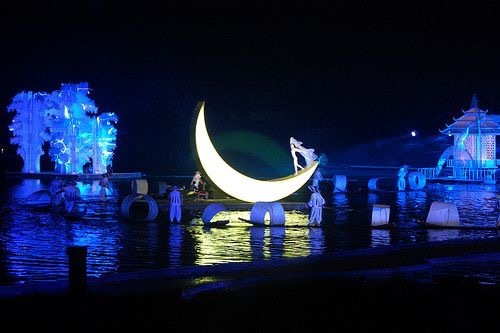 Incredibly cool. 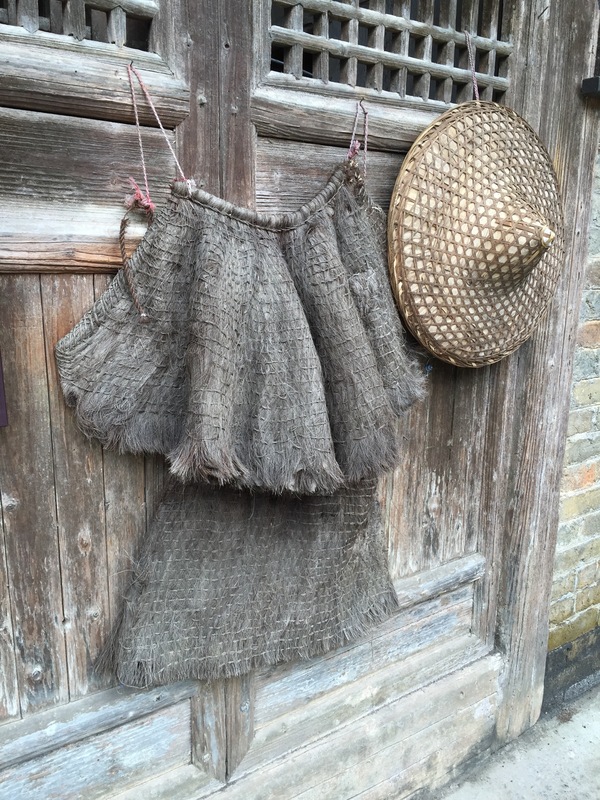 This is a traditional raincoat made out of thatched grass. 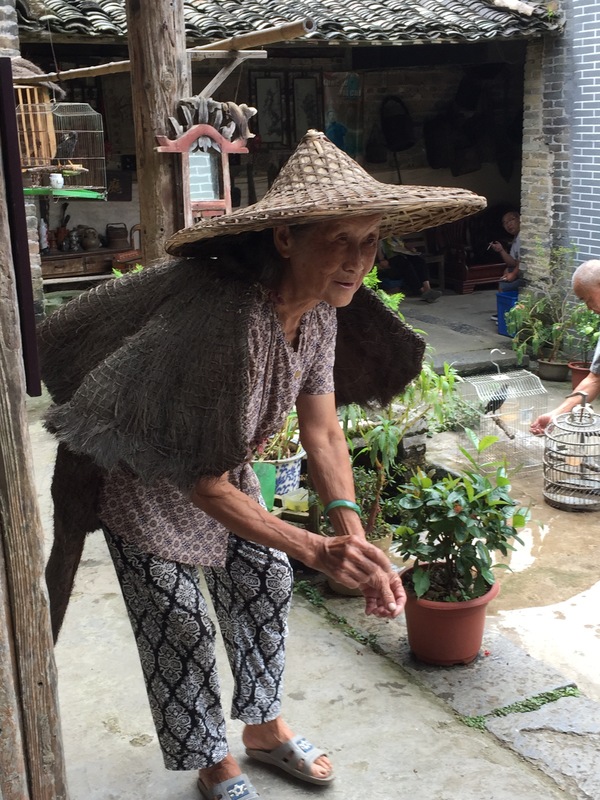 Worn with the hat, it would keep the workers dry enough to keep working in the rice fields even during fairly heavy rain. Now of course, with modern rainproof materials, no one would wear one of these – they are really heavy even when dry. 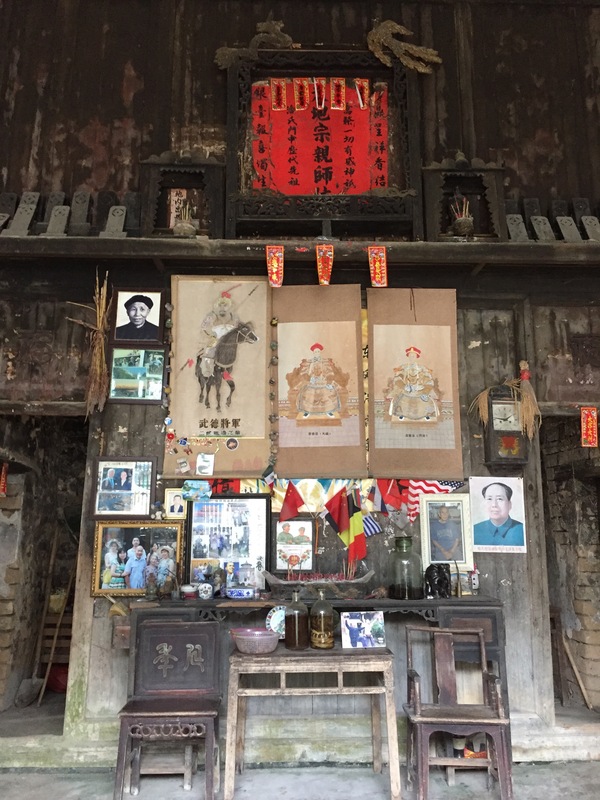 The family shrine contains a picture of the General, and the Emperor and Empress. At the top of the image you will see a dragon and phoenix also to represent the Emperor and Empress. 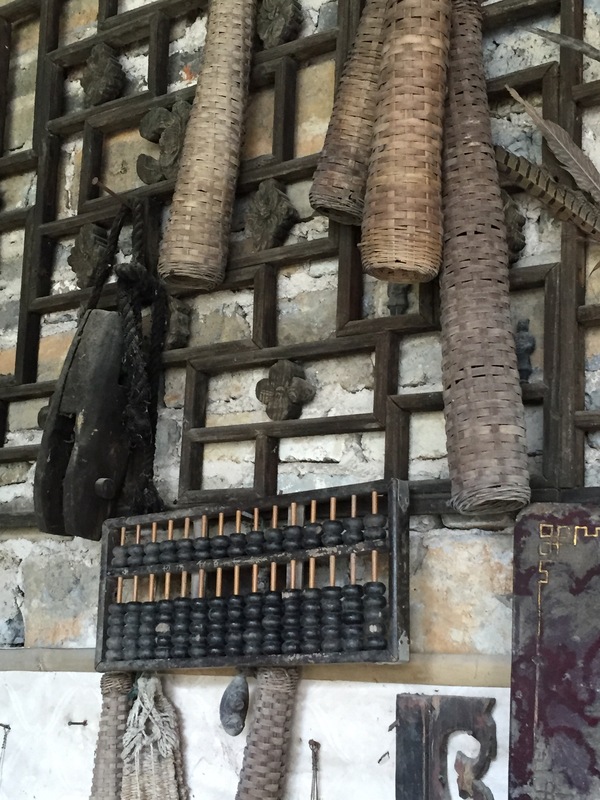 To the right of the blessings are the tablets with the names of the family ancestors. 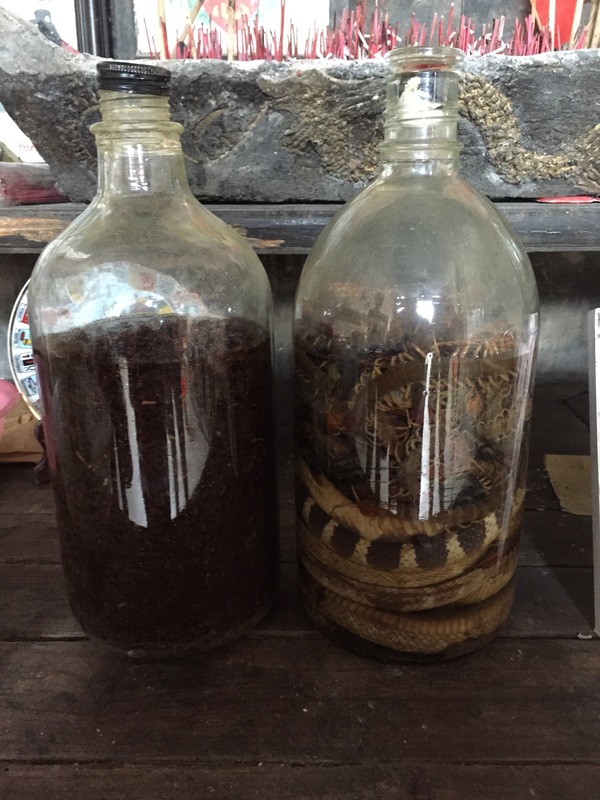 And dead centre on the table you can see a bottle of rice wine (spirits) and snake wine (more spirits) that Mr Pan has some of every day. 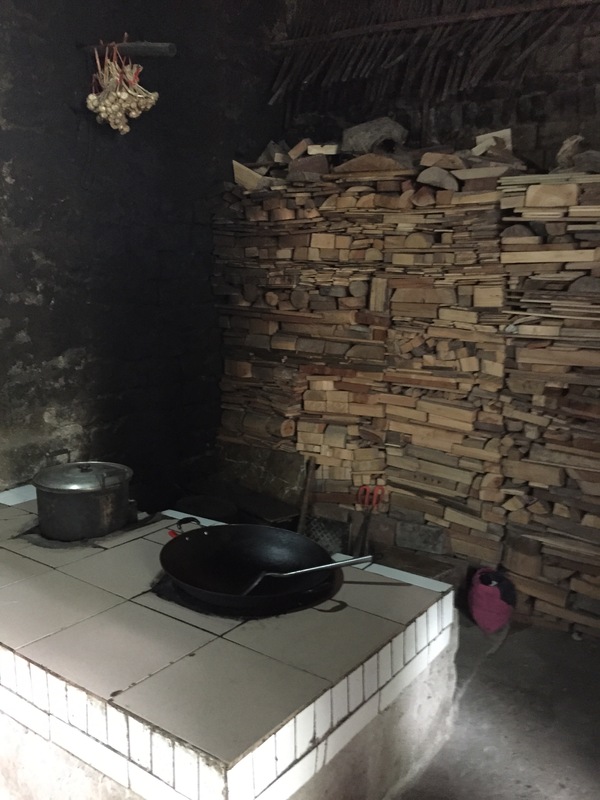 The original kitchen – fire wood is still used for cooking, adn the only place for the smoke to escape is through two small windows high in the roof, but they actually wanted the smoke to accumulate in the kitchen, as they would hang meats in the rafters to cure the meats before refrigeration. So the entire kitchen doubled as a smoke house. 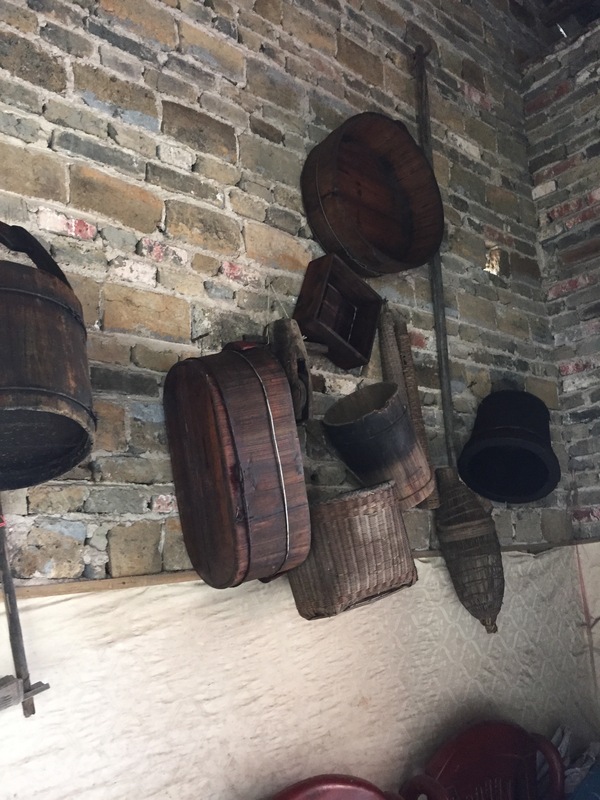 Weaving equipment – the Pan’s also grew cotton, and it is prevalent in the region. 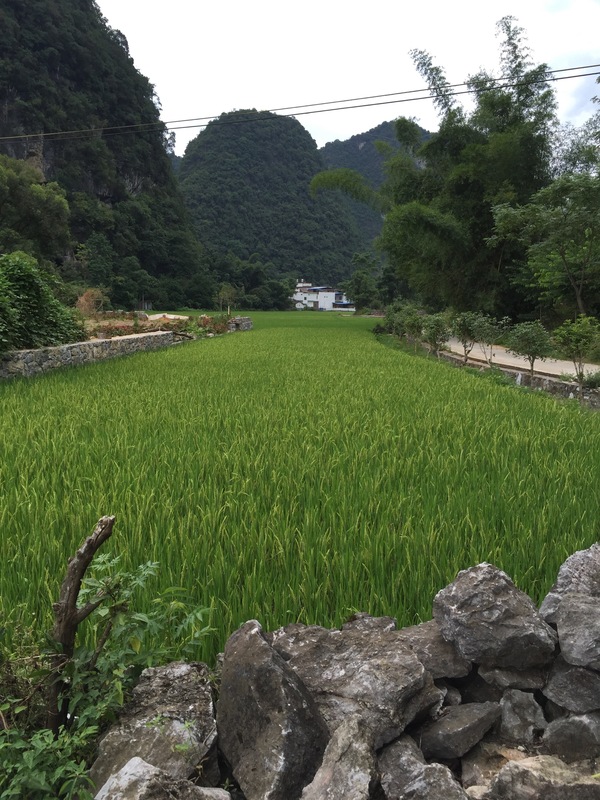 A farmer can apply to be allocated a ‘mu’ of land – which is a parcel of about 20x30m. If there are four people in the family that are farmers, they can have one mu each. 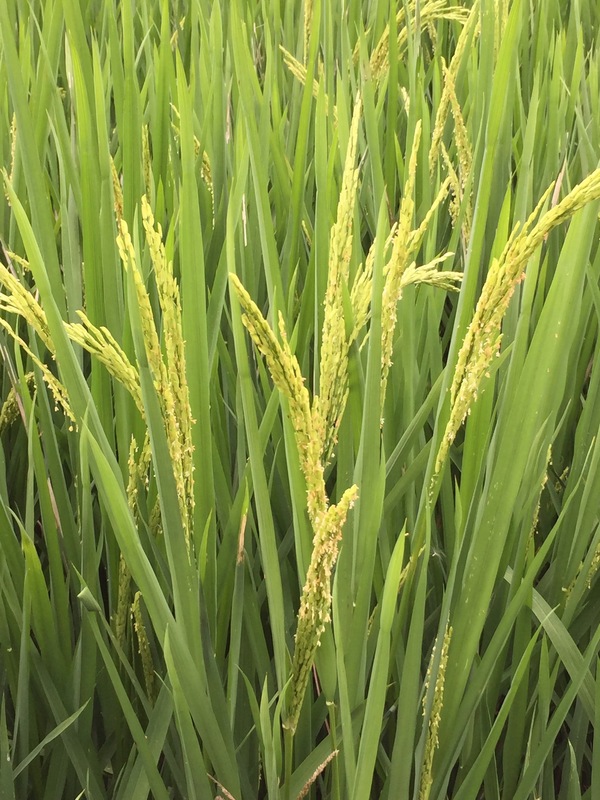 One mu can yield about 400-500kg of rice per harvest, adn there are two harvests each year. Farmers in this region also use their mu to grow, watermelon, oranges, tangerines, pomellos, grapes, passionfruit, lotus flowers (seeds, roots etc) peanuts, cabbage and all sorts of things. 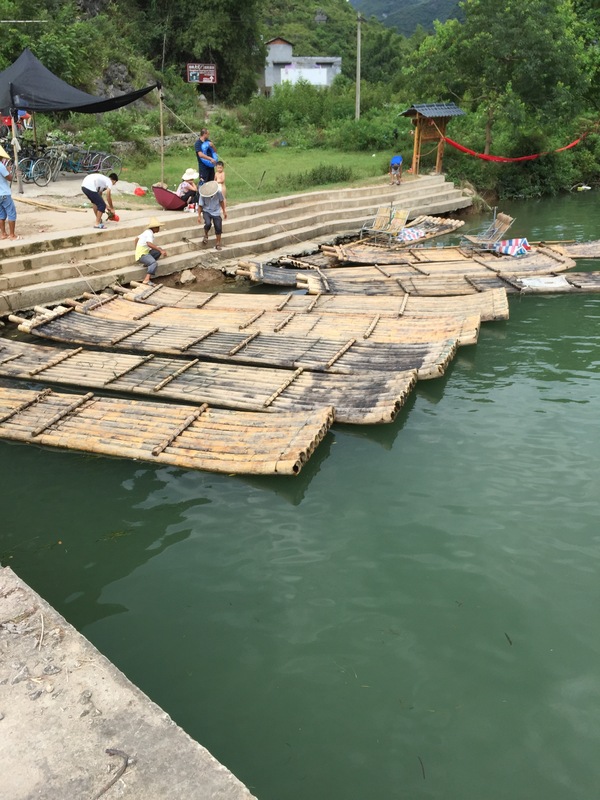 They can also choose to enclose their mu and turn it into fish farming. 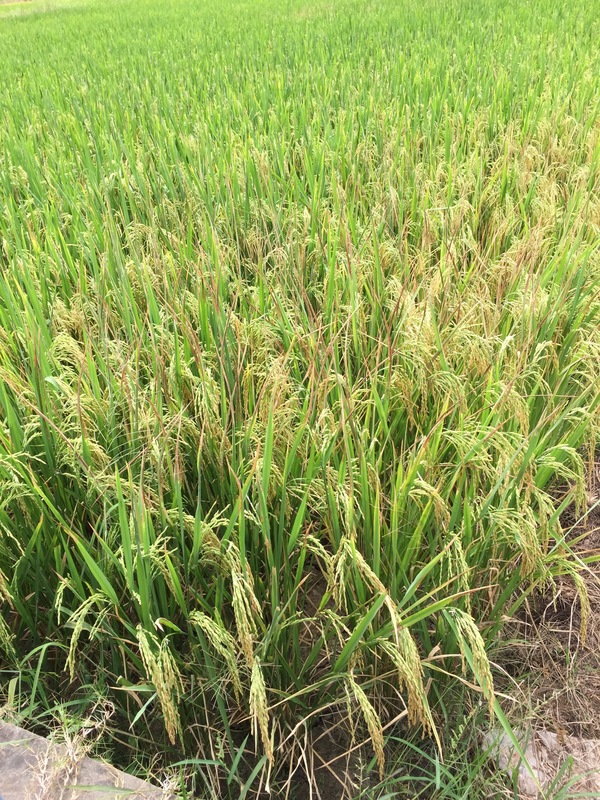 Many rice farmers also grow small fish, shrimps, snails and other aquatic animals to suplement their income while waiting for the rice harvest. 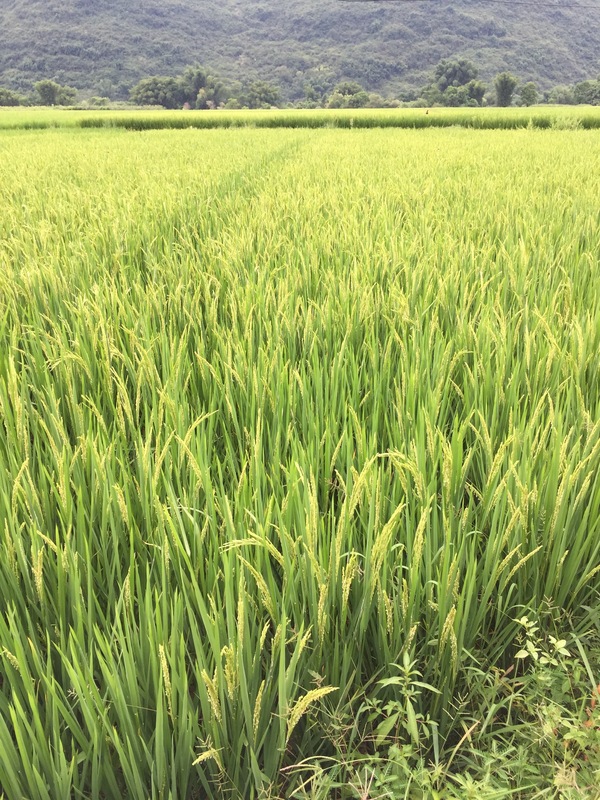 Even the rice stalks are well used after the harvest – either as feed for water buffalo (local beast of burden during plowing and harvest times), as raw materials for rice paper and some even burn it to return nitrogens to the soil for the next planting. 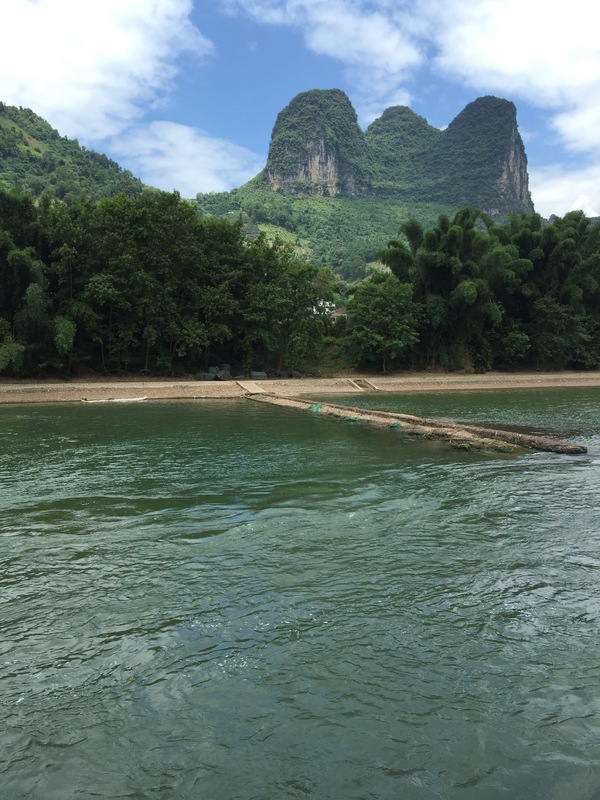 This is the Luyoung RIver, which connects to the Li River. 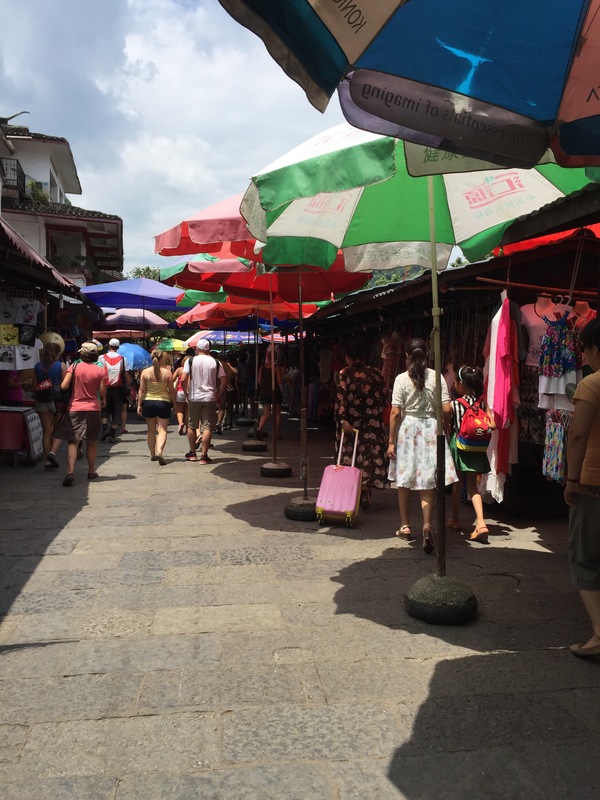 It is a very popular spot for Chinese tourists (domestic tourist) to go rafting. 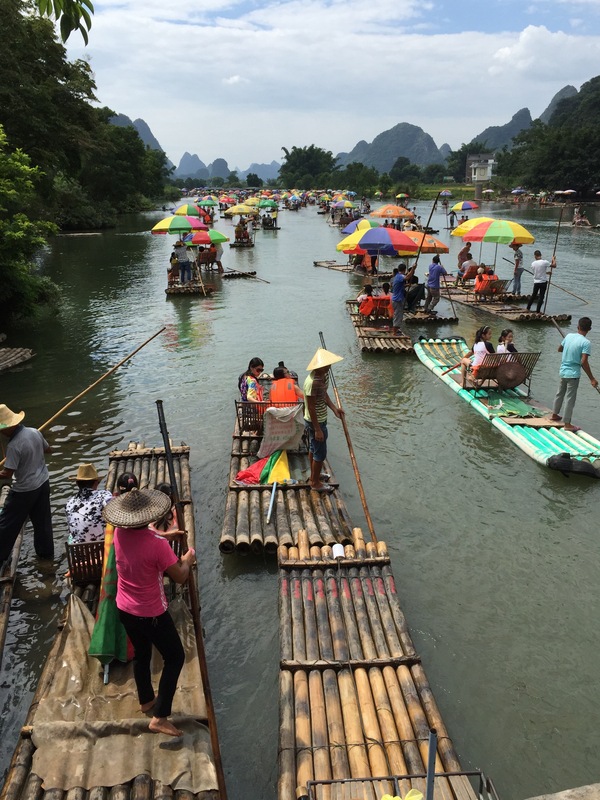 When our guide mentioned rafting, I immediately thought… white water rafting, but it turns out she meant, going out for an afternoon spin on a bamboo raft. 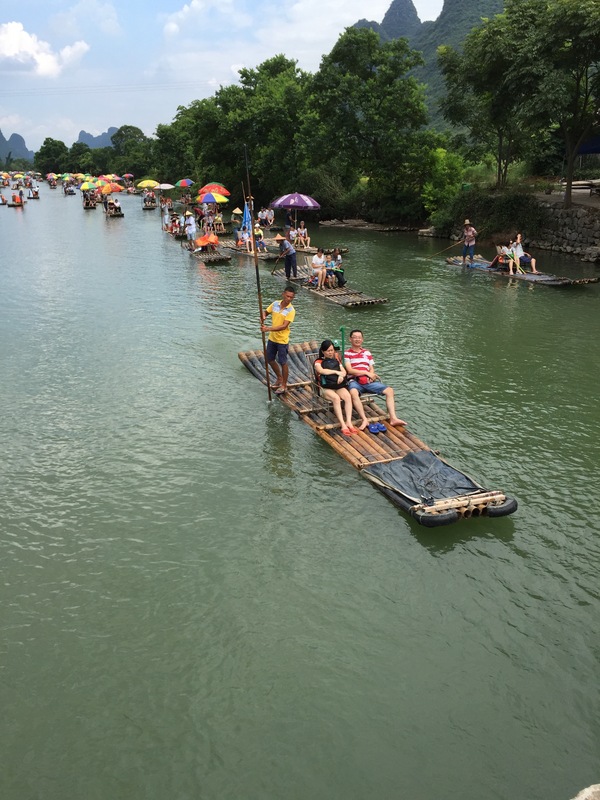 People are ferried up and down a section of the river for 180Y each (about AU$33 each) with water guns to squirt at each other. It’s a bit like a gondala ride in Venice, only nothing like it at all! 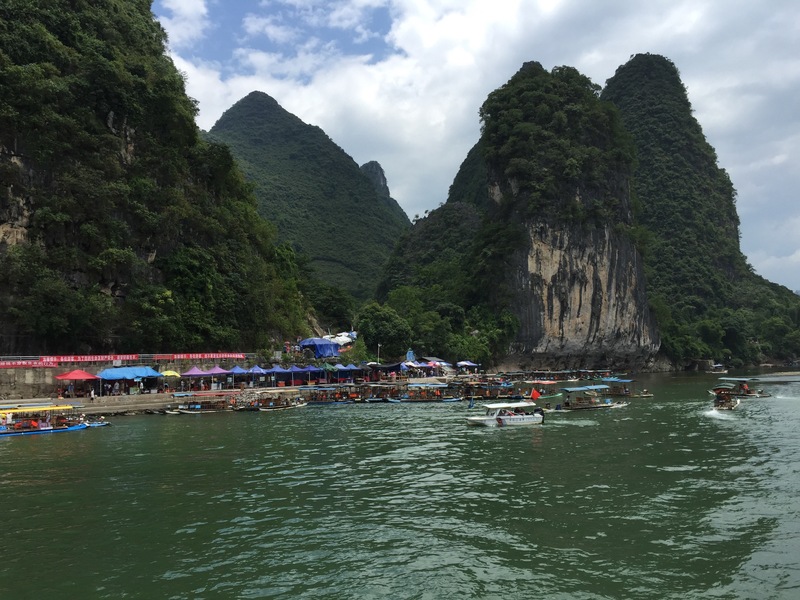 And there were thousands of peopel out rafting this afternoon… and I can’t for the life of me understand why – because nearly every Chinese person I have met so far CAN NOT SWIM. In fact they are petrified of putting their heads under water. Go figure. 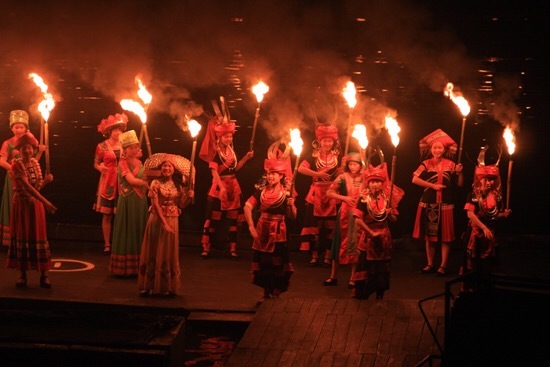 We went to see the Impression Sanjie Liu show this evening, knowing very little about it except that it was directed by Yimou Zhang, who directed several films – Hero, House of Flying Daggers, Curse of the Golden Flower – and the Beijing 2008 Olympic Games Opening Ceremony. 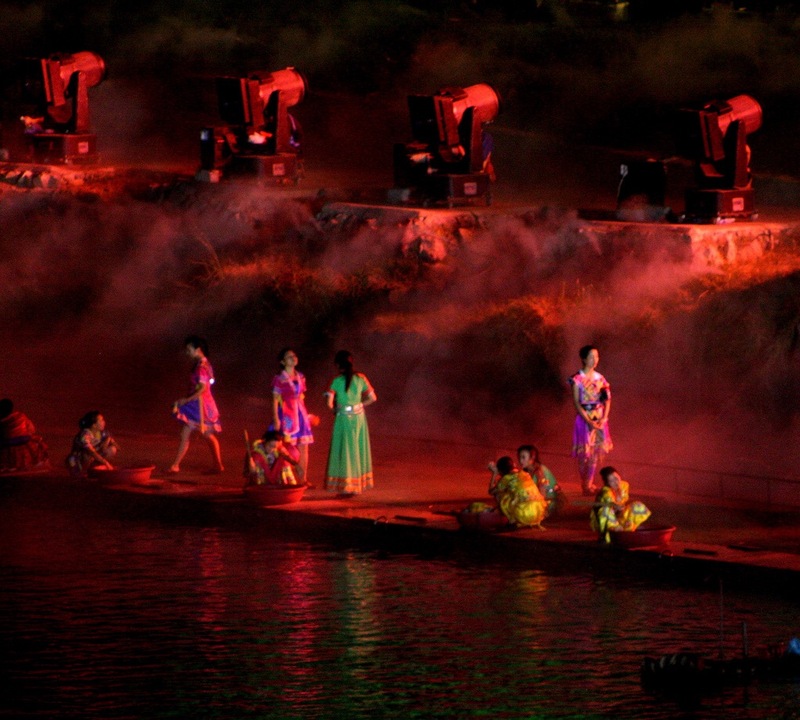 The show is set in a purpose built ampitheatre that seats approximately 3,000 people (three shows a night in peak season) and utilizes the Li River as the stage and has a spectacular natural backdrop of twelve karst mountains. This entry was written by borysSNORC. Tagged under china, guilin, twavel. Bookmark the permalink.